We often hear stories about our current customers becoming Funky Junkies on accident! That’s right… On accident. Once they try some of our Good Funky Stuff, they never turn back! For this month’s Funky Junky Feature, we’ll be chatting it up with Kenvi of natruallykenvi.com, who fell in love with one of our products and hasn’t looked back since. Keep reading to find out which one! Because very naturalista has a story, aside from hearing about how awesome our products work for your hair, it greatly inspires us to see and read about your many triumphs in the natural hair world and your personal lives! Kenvi, of course, has her own unique story about embracing her natural beauty. Achieving & maintaining your signature look isn’t hard work when you use Uncle Funky’s Daughter products! It’s amazing to find a signature style and stick with it. Most people spend their whole lives working to find something about their appearance that makes a statement about their personality… Or find products that perfectly fit that style. She found that in our Thirsty Curls Leave In Curl Revitalizer, which ultimately helps her achieve the sleek look gaining many admirers on Instagram. 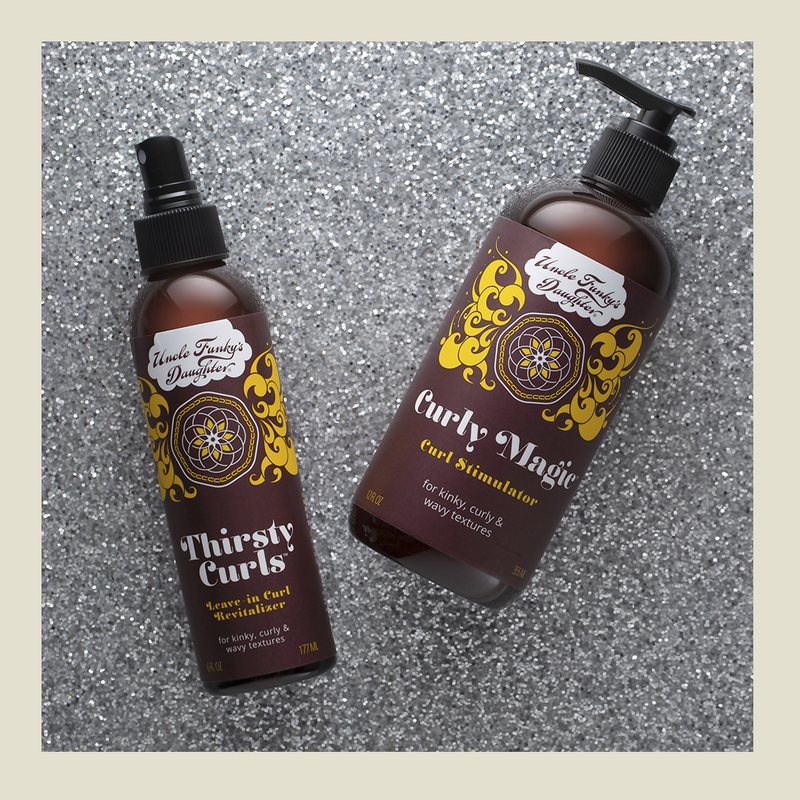 Check out this winning, curl-defining, moisturizing combo now available at select Target stores all over the US! 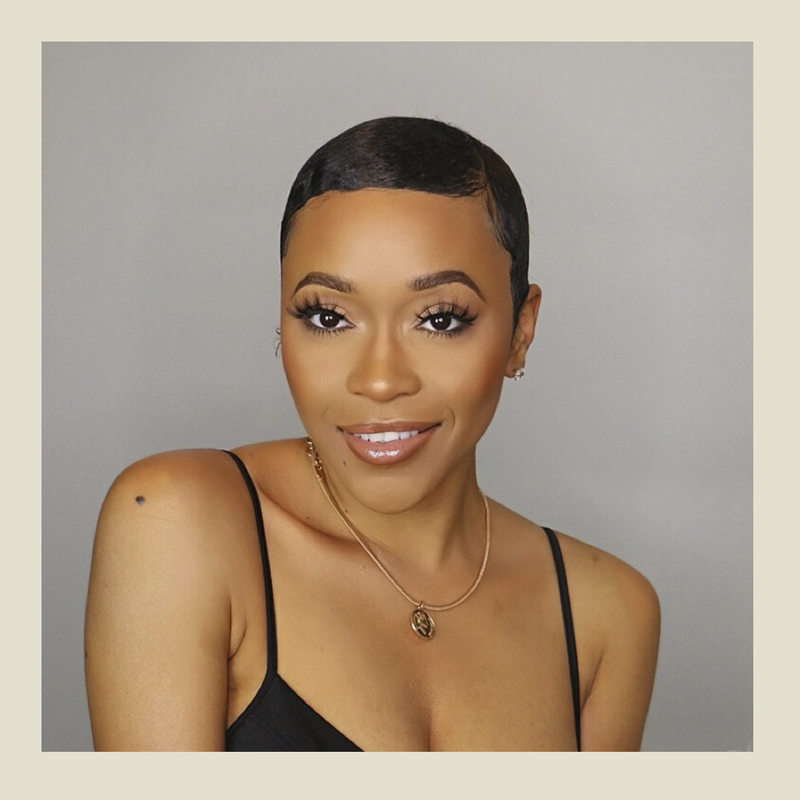 Kenvi also provides tips and advice for other budding beauty gurus out there, by way of her blog and her most recent project, the All Things Beauty podcast. There, she and her co-host discuss topics such as makeup, styling, and trends sweeping the internet. She’s also a free-lance makeup artist during her free-time away from her corporate day job in finance. Her motive, especially with naturallykenvi.com, is to be inspired and spread it, providing the “ultimate curlfriends experience” through posts that will uplift and inspire outside those of herself. Read more about Kenvi on her site and don’t forget to follow her on social media! Don’t Forget to Follow The Funk!